If you're unlucky enough to experience Kodak camera problems, here's hoping you're lucky enough to have the camera provide you with an error message on the camera's LCD. An error message can give you some clues as to the problem with the camera, making it easier to troubleshoot the Kodak camera. The seven tips listed here should help you troubleshoot your Kodak camera problems. Although this Kodak camera error message seems to be self-explanatory, unfortunately, it probably isn't. Chances are pretty good that the solution to this error message will not be in the user guide. If it isn't, try the standard procedure for resetting the camera. First, turn it off for about a minute and then power up the camera again. If that doesn't remove the error message, try removing the battery and memory card from the camera for at least 30 minutes. Replace both items and try turning on the camera again. If resetting the camera does not work, it probably will need to be taken to a repair center. This error message may occur if there is a problem when you're trying to download photos to your computer using the Kodak EasyShare software. Most of the time, the "Device Is Not Ready" error message occurs when the software is trying to save the photos to a folder or a disk location that doesn't exist. You'll have to change the settings in the EasyShare software to save the photos in a new location. When you see this Kodak camera error message, the problem probably is with the memory card. Check the SD memory card inside the camera. If the write protect switch on the side of the card is activated, you won't be able to save new photos to the memory card. Slide the write protect switch in the opposite direction. Although the "E20" error message on your Kodak camera isn't exactly self-explanatory, it does have a reasonably easy fix: Just check with the Kodak website and download the latest firmware update for your camera. If no firmware updates are available, the camera might need to be reset, as described earlier. This error message indicates your Kodak camera is operating at an unsafe internal temperature. The camera might shut itself off automatically, but, if it doesn't, you should turn off the camera for at least 10 minutes. Do not point the camera lens directly at the sun, which could raise the temperature inside the camera. If this error message occurs several times, your camera could be malfunctioning. You'll see this error message when the Kodak camera's internal memory or memory card is full. Switch to an empty memory card or delete a few photos to free some storage space for new photos. This error message sometimes occurs when you think you're saving photos to a memory card, but the camera actually is saving the photos to internal memory, which will become full more quickly than a memory card. Double-check that the camera is saving photos to the memory card, rather than internal memory. Most of the time, the "Unrecognized File Format" error message on a Kodak camera refers to a video clip. 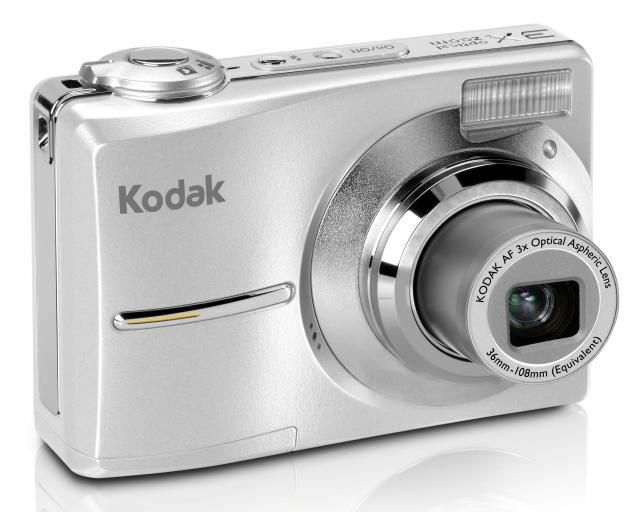 If the video clip has been spliced, or if the audio and video do not match properly, the Kodak camera will not be able to playback the video clip, resulting in the error message. Try downloading the video clip to your computer, where it might play. Finally, keep in mind that different models of Kodak cameras may provide a different set of error messages than is shown here. Most of the time, your Kodak camera user guide should have a list of other common error messages that are specific to your model of camera. Good luck solving your Kodak point and shoot camera error message problems!